City Development and Maintenance Projects, Springfield, Ohio. The Engineering Department provides planning services that preserve the health, safety, and welfare of the community through the application of plans, codes, and ordinances for the City’s best uses of resources and development. Beginning April 15th, Harding Road will begin one way traffic, westbound, for the remainder of the project. Beginning Monday, April 15, traffic will be one way, westbound. This will be in effect for the remained of the project. Download, print and complete the application. Turn in the completed application, with all required documentation , in person, Engineering Department, 2nd Floor, City Hall, 76 E. High Street, Springfield, OH 45502. Download, print and complete the application. Return to the Engineering Department by email to mmccuistion@springfieldohio.gov or by mail to the City of Springfield, Engineering Department, 76 E. High Street, Springfield, OH 45502. Download ‘fillable’ PDF form to your desktop and complete. Then, using the ‘Submit’ button, return electronically. After the application has been received, you will be notified of revisions or amount of payment. This project involves the replacement of approximately 135 water services and the installation of approximately 69 water meters and boxes, at various locations within the City Limits. This project was awarded to J & J Schlaegle, Inc. in the amount of $455,890.00. Work will be maintained where space allows, closures will be posted for one block at a time and during working hours only. 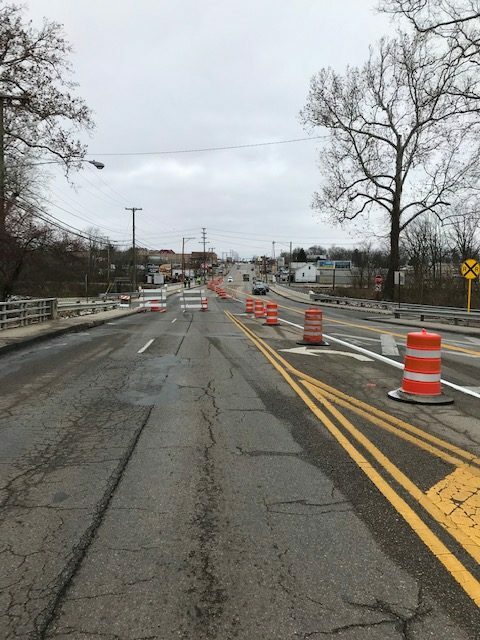 Work is scheduled to be completed by June 7, 2019. 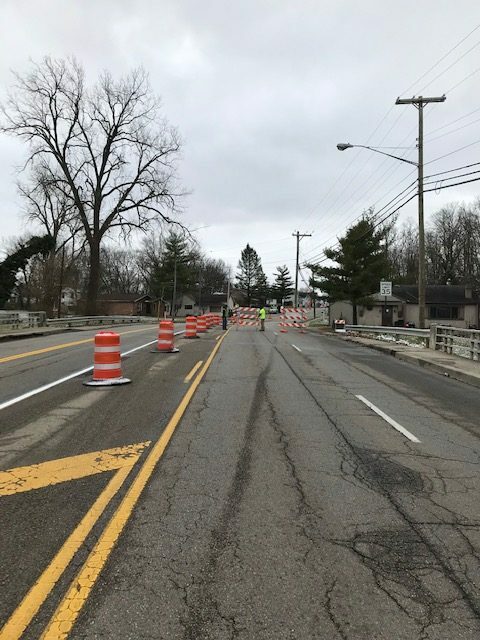 This project involves the reconstruction of E. Harding Road from N. Limestone St. to N. Fountain Ave. Work includes drainage improvements, sanitary and water upgrades, and replacement of existing curb and drive approaches. This project was awarded to J & J Schlaegel, Inc. in the amount of $568,852.52. Beginning April 15, 2019, Harding Road will begin one way traffic, westbound, for the remainder of the project. Detour shall be posted. 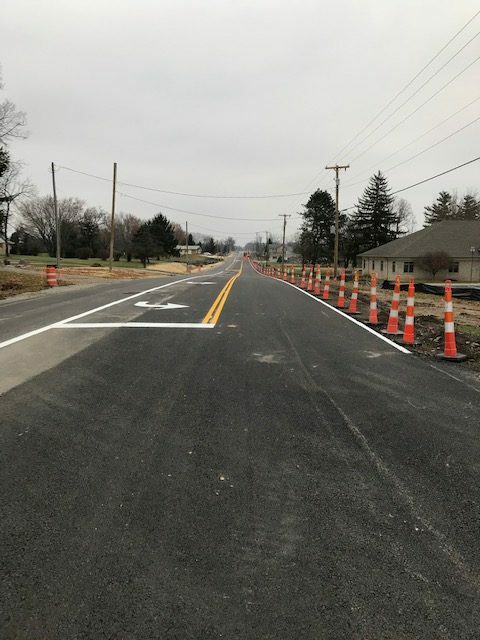 Work is scheduled to be completed by July 26, 2019. Please be aware of construction traffic as it enters and exits the work zone. Funded by OPWC and City. Cliff Park Drive – N. Fountain Ave. to N. Plum St.
Kenwood Avenue – Selma Road to S. Belmont Ave.
Nagley Street – Sunset Ave. to Kenwood Ave.
Rutland Avenue – Nagley St. to S. Belmont Ave.
Fulton Avenue – Nagley St. to S. Belmont Ave.
W. Perrin Avenue – S. Plum St. to W. Wittenberg Ave.
Springmont Avenue – Oakleaf Ave. to Driscoll Ave.
El Camino Drive – Santa Monica Ave. to Vester Ave.
Vester Avenue – El Camino Dr. to Derr Rd. Olympic Street – Home Rd. to Apollo Ave. 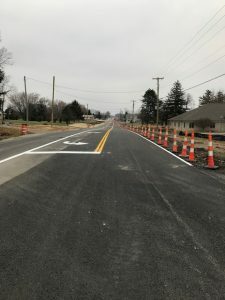 This project involves the widening, partial full depth reclamation and overlay of Middle Urbana Road from an existing two lane highway with shared two way left turn lane. 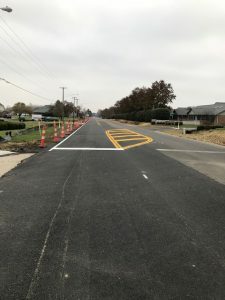 Work includes pavement widening, minor drainage improvements, sanitary and water upgrades and ditch grading along Middle Urbana Road, between Villa Road and S.R. 334. This project was awarded to J & J Schlaegel, Inc. in the amount of $1,394,613.15. Roadway is open to two way traffic. Unfortunately, the project will not be completed this year. The contractor shall be working throughout the winter, as weather will allow and the final course of asphalt will be placed in the spring. Please be aware that work zones shall be in place at various locations along the project as the contractor works on different items. Funded by ODOT, OPWC, City Water & City Sewer. This project consists of bridge rehabilitation on Bechtle Avenue over Snyder Park Road and Lagoons by replacing the superstructure with minimal approach work. Bid was awarded to Eagle Bridge Company with a bid amount of $1,409,565.61. Two-way traffic shall be maintained with on lane of travel in each direction. Please be aware of traffic lane shifts and exercise caution as construction traffic may be entering and exiting the work zone. Scheduled completion date is 8/30/18. Funding provided by ODOT and OPWC.